Chester FC Community Trust is pleased to announce it has been granted charitable status (Registered Charity Number 1174370). This is a significant milestone for the organisation, which uses the power of sport and the appeal of Chester FC to improve and enhance the lives of people living in Chester and the surrounding areas. The Trust was established in 2013 and operates independently from the supporter-owned Club. It delivers high quality football and physical activity, education programmes, social inclusion provision, and health & wellbeing projects to people of all ages and abilities in Chester and across Cheshire West. Obtaining charitable status endorses the Trust’s work as being for public benefit and will help to ensure its long term sustainability. The move will enable the Trust to have an even greater impact in the future, providing access to new grant funding and fundraising opportunities. Liverpool-based law firm Brabners were instructed to act for the Trust, providing governance advice and overseeing registration with the Charities Commission. Jim Green, chief executive of Chester FC Community Trust, said: “Gaining recognition as a charity has been a long-held aspiration for the Trust and I’m delighted we have now achieved this. “It gives the Trust increased credibility and has a number of advantages, but most importantly it will allow us to build on our work and continue having a positive impact on people’s lives. “I would like to acknowledge the fantastic support and encouragement we receive from the football club and our partners, in particular MBNA and the National League Trust, who share our passion for making a difference in our community. The board of trustees of Chester FC Community Trust is made up of David Evans, Paul Bodman, Guy Lister, Mike Day, Sue Pearson, Mike Vickers and Martin Williams. David Evans, trustee of Chester FC Community Trust, said: “Back in 2010 when we reformed the Club, a community arm with charitable status was a keystone of our vision. That was step one. Step two was establishing the Community Trust in 2013. Step three is becoming a charity and is the culmination of the hard work of many people – Jim and those who went before him and Trust board, coaches and volunteers. “It will open up many opportunities for us to extend our work with the community and is confirmation that Club and Trust are moving forwards together. 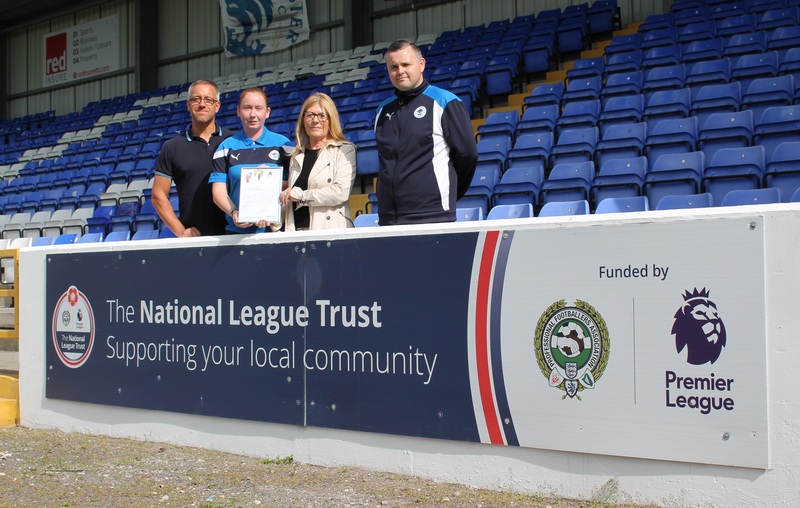 The Trust has established key relationships with a number of partners from the commercial, public and third sectors, including MBNA, the National League Trust, the Cheshire Football Association and community clubs and leagues. Over the coming months areas of focus will include expanding its support for schools, developing its disability football programme and working with partners to progress plans for a community sports hub in Chester. Organisations and companies interested in learning more about the Trust’s activities and opportunities to support its work can contact chief executive Jim Green on 01244 371376 or email jim.green@chesterfc.com. Chester FC Women will host an XI side from Liverpool Ladies FC for a friendly match at Swansway Chester Stadium on Sunday 3rd September (kick off 12pm). Chester-based MBNA, our principal partner have been integral in bringing the two sides together. The Reds will bring an XI side to face Chester FC Women to get some game time for members of the Development Squad ahead of the 2017-2018 season. In addition to the game, the Liverpool Ladies first team squad will be in attendance for meet and greet opportunities for supporters. Liverpool Ladies manager Rogers said: “It is a real privilege to be able to take a side to Chester FC Women to give the Development Squad a chance to impress ahead of the new season. “Liverpool Ladies are one of the strongest clubs in the FA Women’s Super League and it’s a huge honour for us to welcome them to the Swansway Chester Stadium. The event is free to the public and will also feature a fan zone with inflatable activities, food and drink. Pre-game there will be free coaching sessions on the pitch for children aged 6-12. To register your child to take part, look for full event details at www.facebook.com/events/435718243495079/. This summer’s Chester FC Soccer Schools proved a hit with parents and children as coaches from Chester FC Community Trust delivered four weeks of football fun. The courses, which were based at Footgolf Chester in Mollington and The Cheshire County Sports Club in Upton, featured coaching sessions to develop children’s skills, games and tournaments with a certificate and trophy presentation at the end of each week. 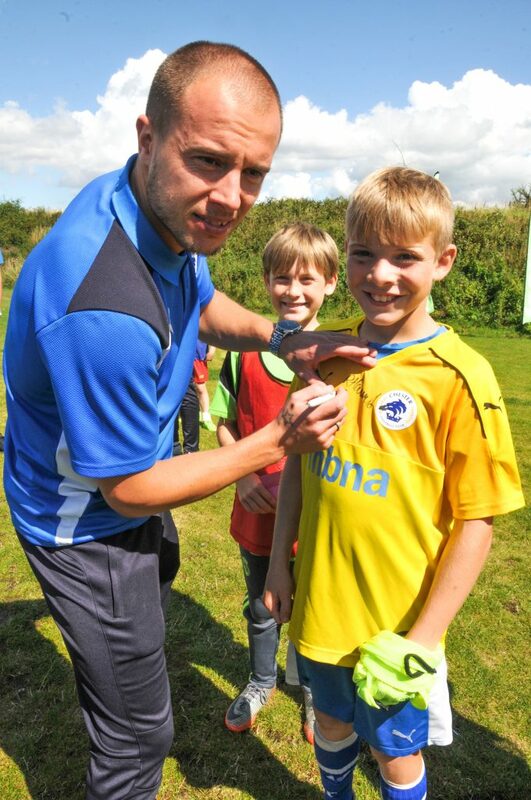 There were guest appearances from Chester FC manager Jon McCarthy and his players too with youngsters getting the chance to collect autographs and have a kickabout with the Blues squad. 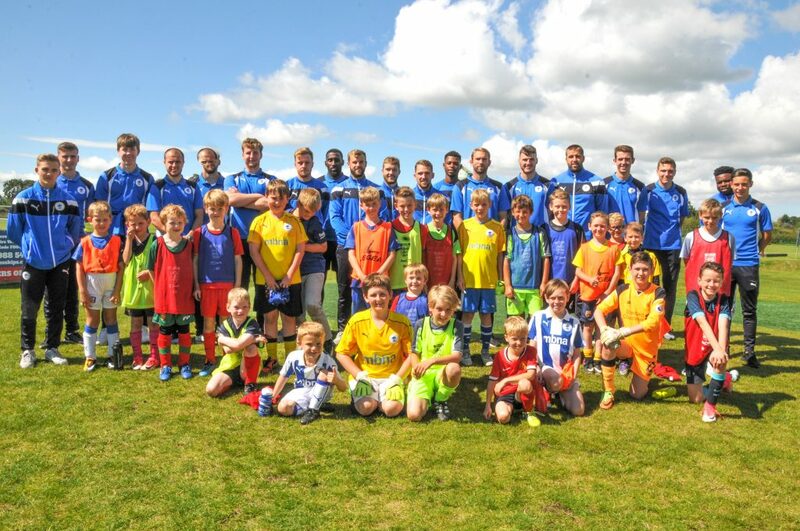 Jim Green, chief executive of Chester FC Community Trust, said: “It has been a fantastic summer and really pleasing to see so many children enjoying the Chester FC Soccer Schools. “We have a brilliant team of coaches who work very hard to ensure each day is varied and fun, helping young footballers to learn new skills and improve their technique. 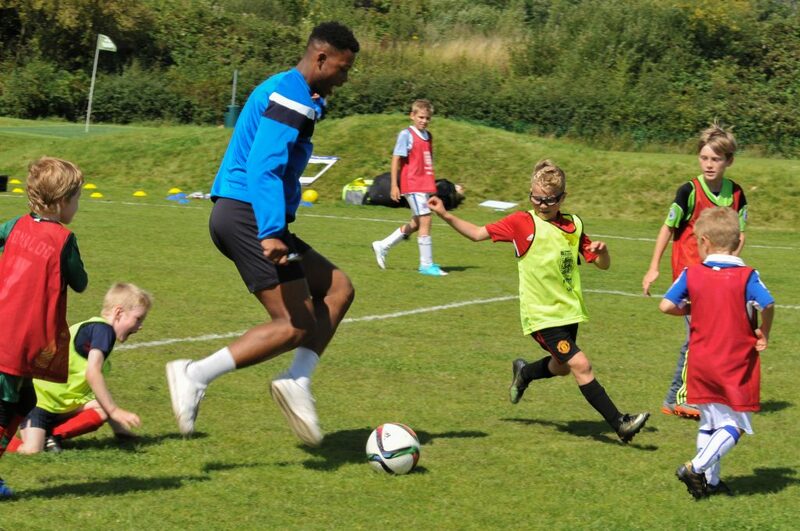 The Chester FC Soccer School will return in Autumn half-term running from Monday, October 30 to Thursday, November 2 with full details to be announced soon. Chester FC Community Trust is pleased to have become a member of West Cheshire & North Wales Chamber Of Commerce. Established in 2013, the Trust uses the power of sport and the appeal of Chester FC to improve and enhance the lives of people living in Chester and the surrounding areas through the delivery high quality football and sport opportunities, education programmes, social inclusion provision, and health and well-being projects. The Trust is in an exciting period of growth with the organisation delivering more projects and engaging with more participants than ever. Jim Green, chief executive of Chester FC Community Trust, said: “We’re delighted to join West Cheshire & North Wales Chamber Of Commerce as we look to build on the progress we’ve made. “We take great pride in using the Chester FC brand to have a positive impact on the lives of local people and we continue to work hard to provide opportunities and inspire change. West Cheshire & North Wales Chamber Of Commerce is a network of more than 500 businesses dating back to 1921. The not-for-profit organisation’s objectives are to promote and encourage business for its members and others regionally, nationally and internationally to improve commercial growth and prosperity. The Chamber aims to support every type of business and offers members a portfolio of benefits, business advice, export knowledge, free events and training opportunities. For more information about the Chamber go to www.wcnwchamber.org.uk. To celebrate the relaunch of Junior Blues, there’s a fantastic competition exclusively for our members. We’re giving one lucky Junior Blue the chance to win an amazing mascot experience which will see them lead out the Blues at a home match later in the season! This brilliant prize includes a VIP stadium tour, a visit to the dressing rooms to meet Jon McCarthy and his players, and not forgetting walking out with the team before the game. And if that’s not enough we’ll also throw in some goodies, a match programme and two adult tickets. Entering the competition couldn’t be easier. Simply send us a snap of you wearing your favourite Chester shirt on our social media pages on Facebook, Twitter or Instagram using the hashtag #ProudToBeBlue. It might be a photo from your summer holidays, one taken at a famous landmark or even right here in Chester – we just want to see you showing the world how proud you are to support the Blues! All of the entries will be put into a prize draw with Lupus picking out the winner during the home game against Ebbsfleet United on September 9th. Remember the competition is exclusively for Junior Blues so make sure you’ve signed up and submitted your entry before the closing date of 5pm on Friday, September 8th. We’re excited to announce the Junior Blues have teamed up with Chester FC Community Trust to offer young supporters even more in 2017/18. The Community Trust are putting the finishing touches to the plans and will be announcing full details soon, but there will be lots of brilliant exclusive events – including the ever popular Christmas Party and the Junior Blues Takeover! There are lots of awesome benefits to being a member of Junior Blues such as 10% discount in the Club Shop, a Christmas card from the players, a signed birthday card and much more! Welcome packs will be posted out in the coming days to everyone who has renewed or signed up as a new member over the summer so keep an eye out for your new membership card and a special letter from Jon McCarthy. 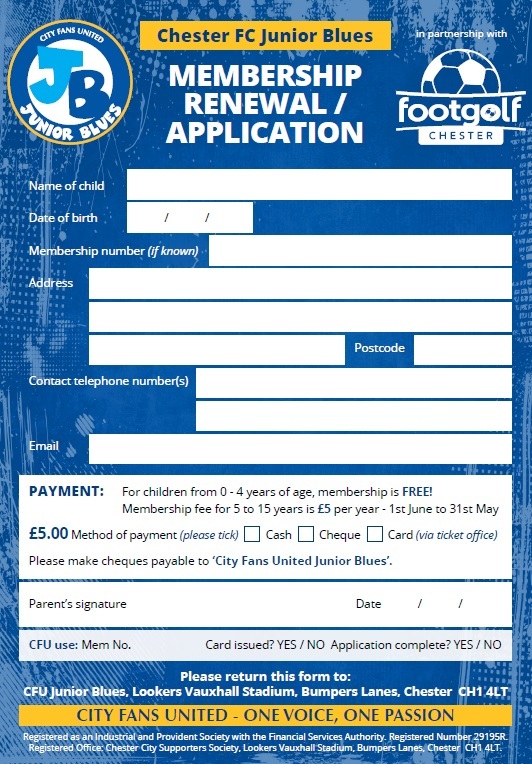 If you’ve not yet renewed or want to join the Junior Blues, you can find a membership form below, in each edition of The Cestrian, pick one up at the Club Office or sign up online – just visit www.cityfansunited.com and click on ‘Junior Blues’ on the top menu bar. 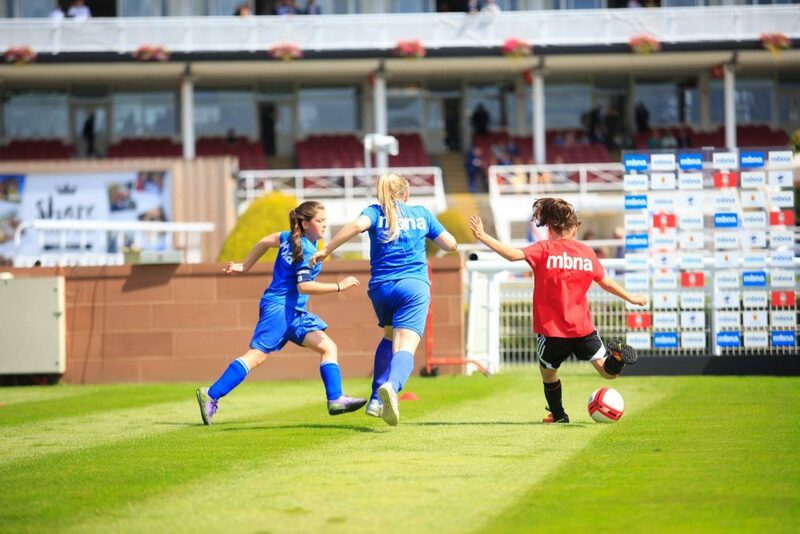 Chester FC Community Trust is looking forward to being part of a Festival of Football at the MBNA Family Funday at Chester Racecourse this Sunday August 6. The Club’s prinicial partners MBNA are sponsoring the 22nd annual Family Funday and will again be bringing football back to the Roodee with a junior six-a-side tournament between races. 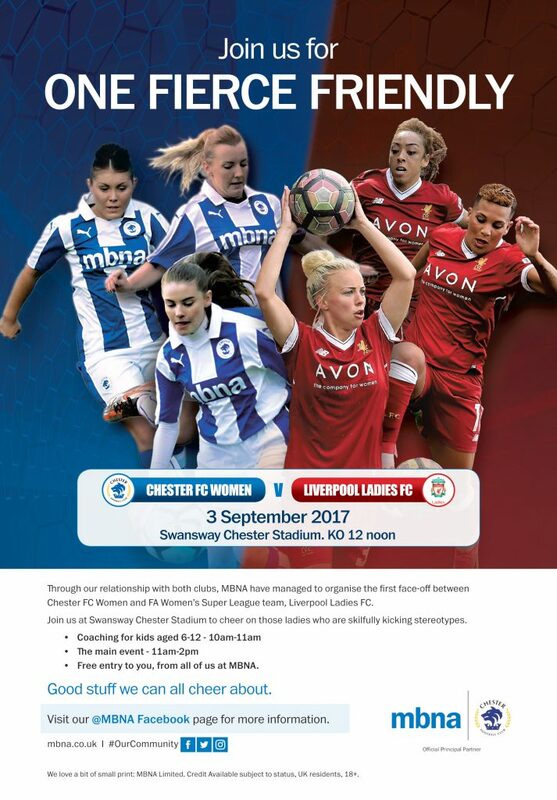 Players from the Chester FC Academy and the Chester FC Girls Advanaced Player Development Centre will take on teams representing Liverpool FC over the course of the afternoon. Last year’s event proved a great success and this time around the action moves to the open course with racegoers encoruaged to join Chester FC mascot Lupus and cheer on the competitors. Teams will be introduced at 1.20pm and the first game kicks off at 1.40pm. The MBNA Family Fun Day features seven races take place throughout the afternoon and the first race starts proceedings at 2.05pm. There is a host of free football-themed activities for kids, including human table football, football darts, and penalty shoot-outs. The MBNA Family Funday offers a fantastic day out for the whole family with the open course providing a great space for picnics and gazebos (fee payable of £10 on the gate). Tickets for adults start at just £12 on theopen course and parking is £11 per car. Car parking pay lanes are open from 8am on the morning and pedestrians can enter the Open Course and pay on the gate at Gates 9 & 10. Those with pushchairs can avoid the steps and enter from 11am through Gate 12, underneath the Grosvenor Bridge. All other enclosure gates will open as usual at 11.30am. For more details visit www.chester-races.co.uk. The official Chester FC mascot package is an unforgettable experience for young football fans and only a limited number of games remain available for the 2017/18 season. 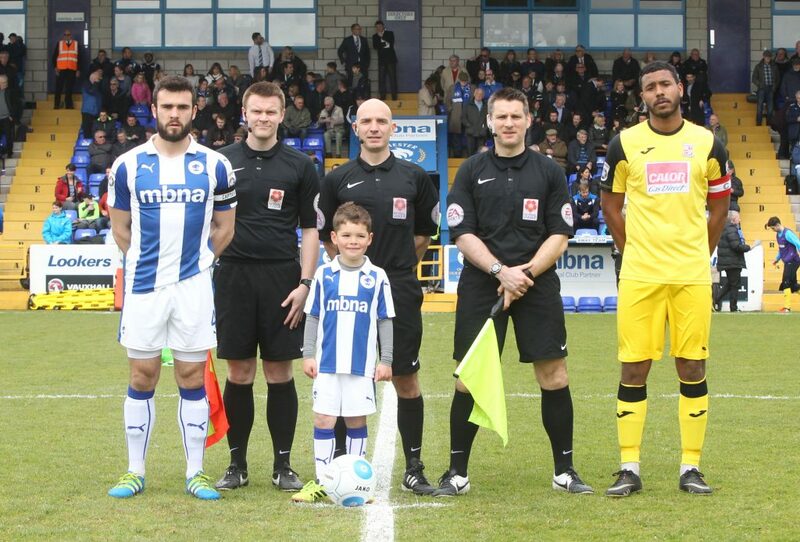 As an official mascot, youngsters are presented with their own Chester FC kit and matchday programme before beginning a VIP tour of the Swansway Chester Stadium to gain an insight into how the Club operates behind the scenes, including a visit to the home dressing room where they will meet the manager and his players. It’s then time to head pitchside to watch the Blues go through their pre-match warm-up before having the chance to play on the hallowed turf in front of the home fans. With kick-off approaching, the mascot will then meet up with their favourite player in the tunnel area and lead the team onto the pitch for the big game. 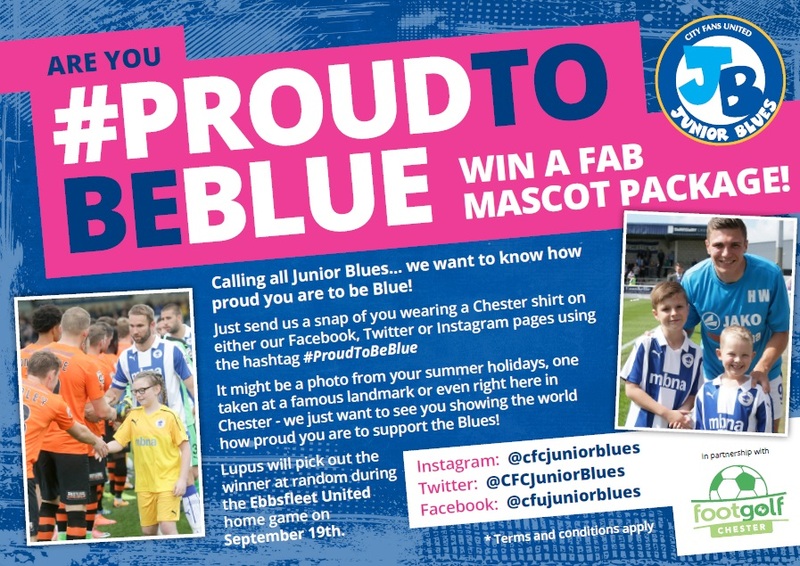 The official Chester FC mascot package costs £80 and includes tickets for one child and two adults as well as a digital image to remember the day. Bookings for the 2017/18 season are now being taken and can be made by contacting Chester FC Community Trust via community@chesterfc.com or on 01244 371376. Girls in Ellesmere Port can get involved in football with the launch of an SSE Wildcats Girls’ Football Club in the town. Chester FC Community Trust will be running weekly sessions on the 3G pitch at Ellesmere Port Sports Village on Wednesdays from 5pm to 6pm for girls aged 5-11 with all abilities and levels of experience welcome. The first session takes place on Wednesday August 2 and is free to attend with no need to book in advance. Ben Richards, community coach for Chester FC Community Coach, said: “We’re really looking forward to taking Chester FC Wildcats to Ellesmere Port. “We have been working in partnership with Cheshire FA to encourage more girls to play football and recognised there was an opportunity for regular sessions for girls in the Ellesmere Port area. 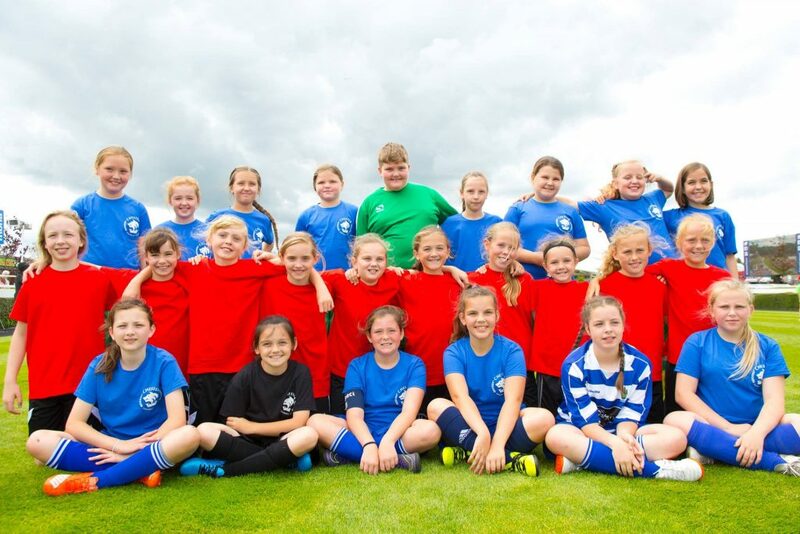 SSE Wildcats is a nationwide participation programme providing girls with regular opportunities to play football and take part in organised sessions in a fun and engaging environment with 200 clubs established across England throughout the spring and summer. The launch comes during FA Girls’ Football Week, which is running between July 16 and August 6 to coincide with England’s involvement in Euro 2017 where the in-form Lionesses’ have progressed to the semi-finals. 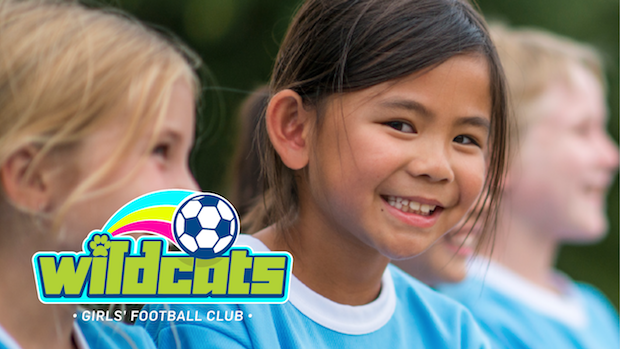 Chester FC Wildcats already run weekly sessions on Saturday mornings at Goals Soccer Centre from 10am to 11am.